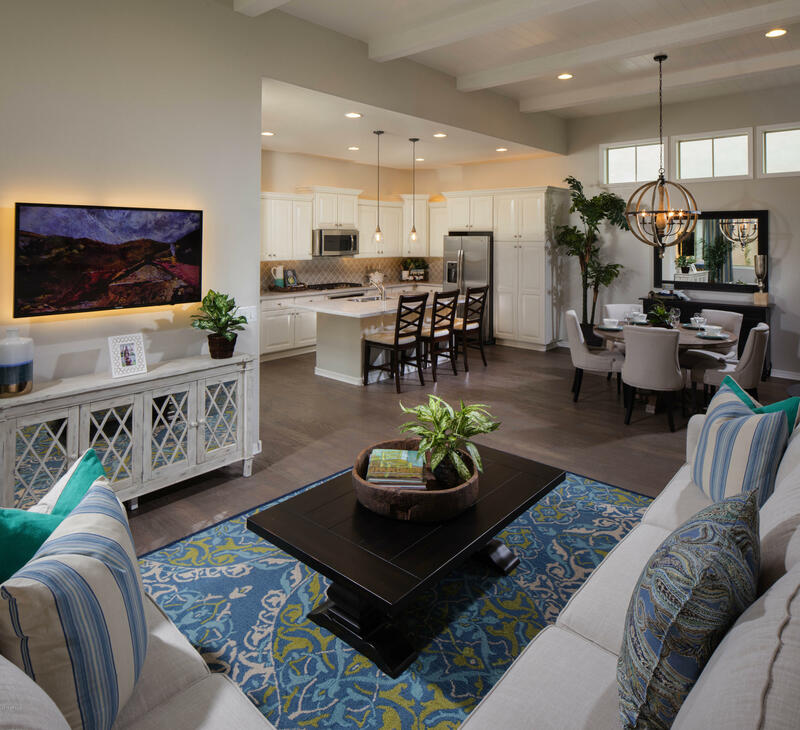 All BUNGALOWS AT COOLEY STATI homes currently listed for sale in Gilbert as of 04/19/2019 are shown below. You can change the search criteria at any time by pressing the 'Change Search' button below. "Residence II features 1,618 square feet and has one bedroom and a den upfront and the master bedroom in the back. Everyone will have a space to call their own. Great room, dining area, and kitchen are perfectly placed. Great room has high ceilings with white beams and lots of natural light. Stagger white kitchen cabinets, stunning backsplash, and pendants over the island. Imagine watching your favorite movie or gathering after a BBQ on your patio. This is the home for entertaining. Master bathro"